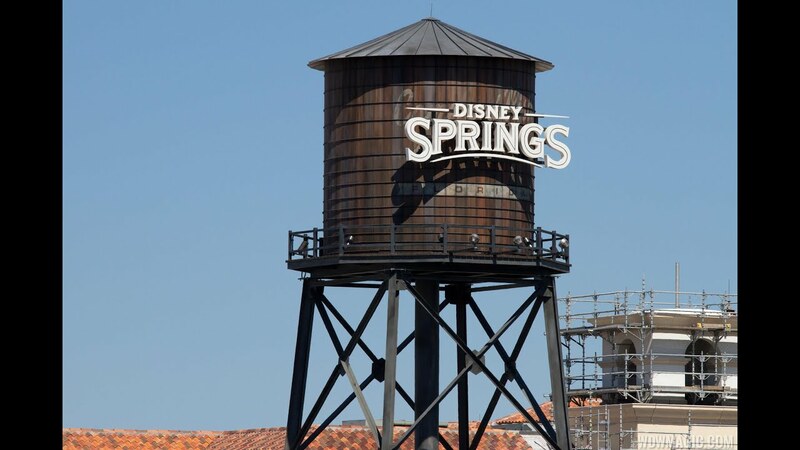 Nov 21, 2018 in "Disney Springs"
Retailers and restaurants at Disney Springs will be taking part in Black Friday specials throughout the weekend, November 22 - 25 2018. Here is a run-down of everything we have found on offer so far. 20% off items and get a peek at the 2018 limited-edition Snowflake Bangle Bracelet. Offer valid November 21 to November 26, 2018. Give the gift of style when you take advantage of their buy one, get one 50% off sale. Plus, enjoy special promotions on select pieces, including jackets starting at $32.99, sweaters starting at $24.99 and tops starting at $12.99. Offer valid November 23, 2018 only. Spend $50 or more and get 20% your entire purchase. Offer valid November 23, 2018 only. Recieve 25% off items in the entire store and at the outdoor kiosk. Offer valid November 22 to 23 2018. Discover doorbuster deals galore! On November 23, 2018 swing by until noon to enjoy a complimentary mimosa while you shop. Other specials include: a complimentary 2018 commemorative metallic bottle and a $5 Coke cash back to use towards a purchase of $20 or more made between November 24 and November 25 and 30% off customizable items like t-shirts and mugs. Save up to 50% off storewide and get 15% off all eyewear. Offer valid November 23 to November 25, 2018. Get 50% select items! May not be combined with any other offer or existing sales. Offer valid November 23 to November 25, 2018. Alex and Ani Rose Gold Filigree Bracelet release - November 24. Enjoy 25% off your purchase. Offer valid November 23, 2018 only. Enjoy 30% off storewide. Offer valid November 23, 2018 only. Take 30% off storewide—and shop a great selection of gifts under $100. Some exclusions apply. Offer valid November 21 to November 27, 2018. On the hunt for a preppy present? Save 40% off the entire store. Certain exclusions apply. Offer valid November 21 to November 26, 2018. Delight in 50% off select apparel and accessories. Offer valid November 21 to November 26, 2018. Buy any full price jersey and receive 30% off select country jerseys and footwear styles. All footwear marked with a red sticker is eligible for the promotion. Offer valid November 23, 2018 only. Receive a special gift when you purchase a piece from one of your favorite artists. Offer valid November 23, 2018 only. Save 30% off storewide. Exclusions apply. Offer valid November 22 to November 25, 2018. Feel the luck of the Irish when you get 50% off select Irish-themed clothing, t-shirts, hats and more priced at 50% off—20% off select jewelry, gifts and souvenirs. Offer valid November 23 to November 26, 2018. Spin the wheel of deals for a chance to land 20% to 50% off your entire purchase. Offer valid November 22 to November 25, 2018. Save up to 50% on select style—plus doorbuster boots starting at $49.99. While supplies last. Offer valid November 22 to November 26, 2018. Come in for unique home décor and get 50% all pillows. Cannot be combined with other promotions and discounts. Offer valid November 23, 2018 only. Save 40% off select styles. Offer valid November 21 to November 25, 2018. Save 40% off UNDER ARMOUR fleece. Offer valid November 22 to November 26, 2018. Enjoy up to 50% off on select items and recieve a $25 bounce back gift card when spend $250 or more. Offer valid November 23 to November 26, 2018. Refresh and reset with $10 “Black Friday” Mojitos (any flavor). Offer valid November 23, 2018 only. Spend $30 or more on Black Friday and receive a complimentary “Mystery Box” full of assorted gluten-free and vegan baked goods! Limit one box per Guest while supplies last. Offer valid November 23, 2018 only. Purchase any regular menu item meal and get a kid-size quesadilla for just $1. Offer valid November 23, 2018 only. Swing by for a shopping break before 4:00 PM and receive 15% off food and non-alcoholic beverage purchases. Cannot be combined with any other offer. Additional restrictions may apply. Offer valid November 23, 2018 only. Enjoy 20% off purchases all day. Plus, receive complimentary latte art from 8:00 a.m. until noon. Offer valid November 23, 2018 only. Hop aboard this stationary steamboat for happy hour specials from 11:30 a.m. to 4:00 p.m. on November 23, 2018. Treat a loved one to a gift card and earn a reward for yourself! Receive $50 back for a $100 gift card pur- chase November 23 to November 26, 2018. Ask about other gift card specials outside of Black Friday weekend. Celebrate your Black Friday shopping success with happy hour specials on the veranda from 11:30 a.m. to 4:00 p.m. on November 23, 2018. 3 scoops of chocolate gelato topped with a choco- late-sipped cookie, lady fingers, chocolate sauce and whipped cream. All retail items are 25% off (promotion excludes gift baskets and Coravin items and other promotional items). Plus, receive $15 back for a $200 gift card purchase, $50 for $500 and $125 for $1,000. Offer valid November 23, 2018 to January 1, 2019.